Standing glad with 8 of the main 100 colleges/universities of the world, Australia is considerably more than just kangaroos. An expanding number of Indian students are deciding on Australia to study abroad for its best education, post-study work permits and phenomenal nature of living. Whatever course you pick, you’ll be guaranteed of outstanding academics and emotionally supportive network for International students. Its educational qualities, availability of different courses to look over, and post-study work availabilities make it one of the most wished and attractive destination among Indian students. When you select to study in Australia, you get the chance to look over 22,000 courses accessible in 1,100 colleges and organizations, receive universally accepted degrees, find different scholarship opportunities and get training from the best faculties in the world. Australian qualifications are internationally acknowledged, and colleges/universities in Australia are prestigious for their exploration and training methods. Their training /teaching method is esteemed worldwide for their outstanding academics, with seven of Australian colleges reliably positioning in the top 100 of the QS World Ranking and Times Higher Education Rankings. The Australian education system is recognized by the Australian Qualifications Framework (AQF) – the national policy built up in 1995 that indicates guidelines of qualifications from the tertiary education department (higher education, professional training and education) additionally the school leaving certificate, called the Senior Secondary Certificate of Education. You can’t beat Australia with regards to usage of rights and customer protection. It has the most strictly customer security for international students. According to the Australian Education Services for Overseas Students (ESOS) Act 2000, all courses that are offered to international students meet stringent government rules. 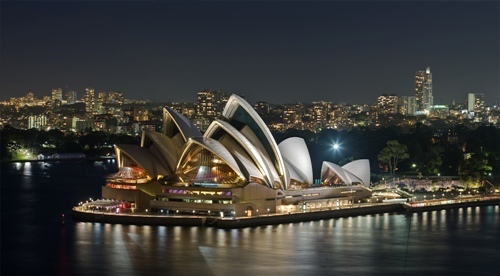 Australia offers a phenomenal worldwide exposure with the world’s largest fraction of foreigners in a developed nation. You’ll discover more than 200 dialects and languages being spoken in Australia. Not just this, you can recognize a number of Indians people to associate and celebrates local festivals with each other. New South Wales has 95,387 individuals from India, Victoria has 111,787 and Queensland houses 30,259 Indian Australians* (details subject to change). Different ethnicities you’ll run over in Australia are consists of Italians, Greeks, Arabs, and Chinese. Languages from every one of these locales are generally spoken in Australia, making it a diverse nation amongst the various countries of the world. As an Indian student, you can noticeably decrease your educational charges, costs by applying to scholarships, grants and rewards, given that the Australian government spends over £200,000,000 every year on international scholarships. This guarantees even the students with poor family backgrounds can encounter a world-class education without bothering over financial planning. While most scholarships cover educational cost, students selecting for research courses may be able to have the capacity to get their living costs covered. A decent academic score is commonly the most essential factor, yet extracurricular activities and volunteering can be utilized to advantage. Find out more about Scholarships in Australia. 15 of Australia’s scientists have awarded by a Noble prize for their commitment in different fields which restores the nature of education and research opportunities available in Australia. More than 100 crores individuals in the world are dependent on inventions and innovations made by Australia. The nation is known for its exploration in IVF, cervical cancer vaccination, penicillin, ultrasound, the Bionic Ear, Black Box Flight Recorders and many more. Indian students looking for research prospects can numerous help from the Australian government for their projects as far as financing, giving the best guidance, labs and facilities. Given the life’s quality and five of its significant cities – Sydney, Melbourne, Perth, Brisbane and Adelaide making it to the most liveable places in the world, Australia pulls-in numerous students from everywhere throughout the world for their higher education. The general way of life in Australia is unparalleled with its excellent infrastructure, quality medicinal and healthcare facilities, solid system of technologically advanced transportation, and within budget housing. Every Indian Students with subclass 500 visa are permitted to work for 20 hours of the week and full-time at the end of the week. In addition, you can apply for a subclass 485 temporary graduate visa after finishing your studies that will enable you to remain and work further in Australia. When you select the option to study in Australia, you pick magnificent industry experience and an open work culture. Studying abroad is something beyond getting an acknowledgment letter from your picked college/university (or school) and visa approval. In this way, to avoid all problems, we at IDP give certain selective services to our students looking for courses in Australia, for example, Overseas Student Health Cover (OSHC), accommodation services, guardianship and welfare administrations, IDP ISIC student advantage card, IDP Helpline and much more!